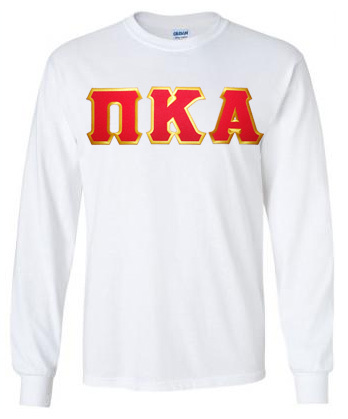 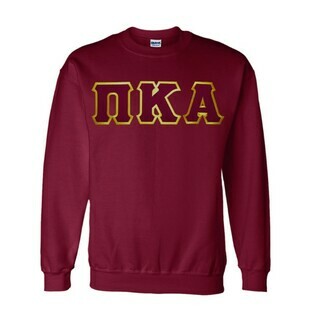 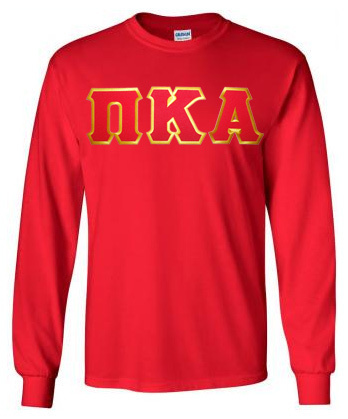 Show some Pike pride at your school when you wear this Discount Pi Kappa Alpha Lettered Long sleeve shirt to class. 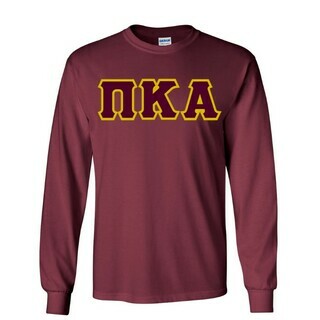 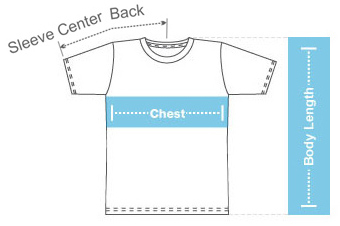 It's a quality cotton shirt with twill Greek letters on the front. 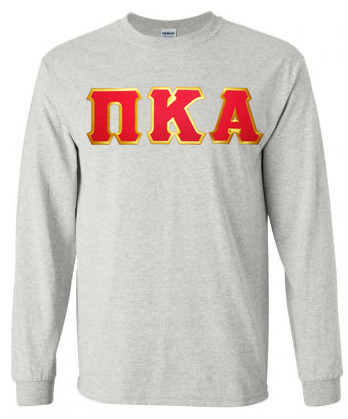 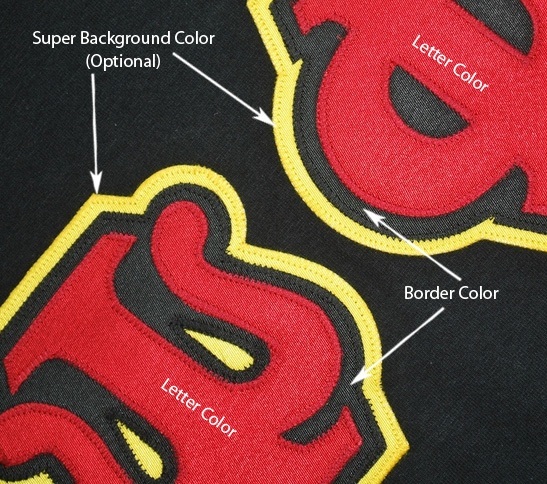 We pre-picked your letters to match your fraternity colors. Wear this perfect long-sleeved fraternity shirt to class, the dining hall, the school library and to on or off campus parties. 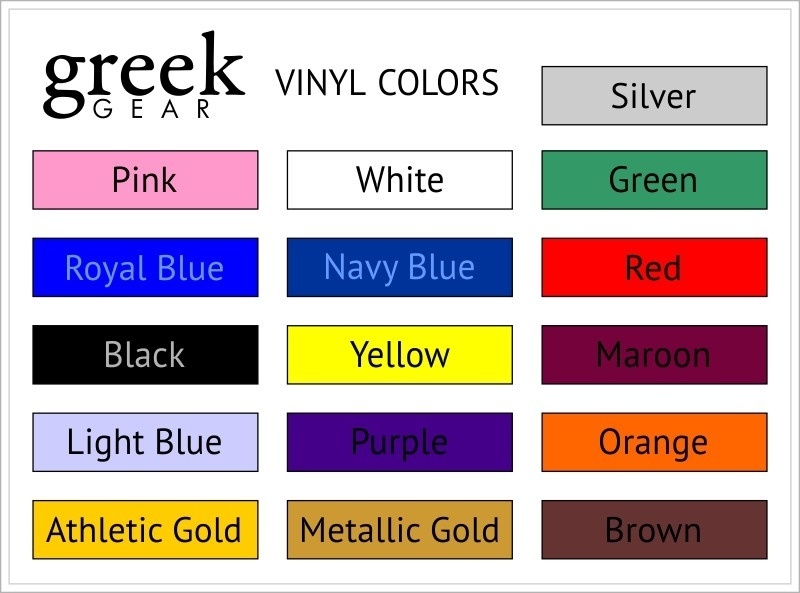 You can get it in white for 20 bucks or other colors like that great gold color you see in the picture for just a couple of extra dollars. 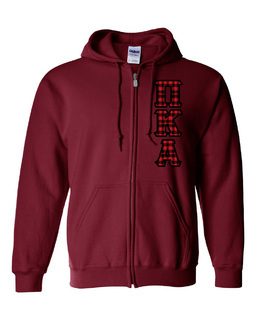 Quantity discounts available!